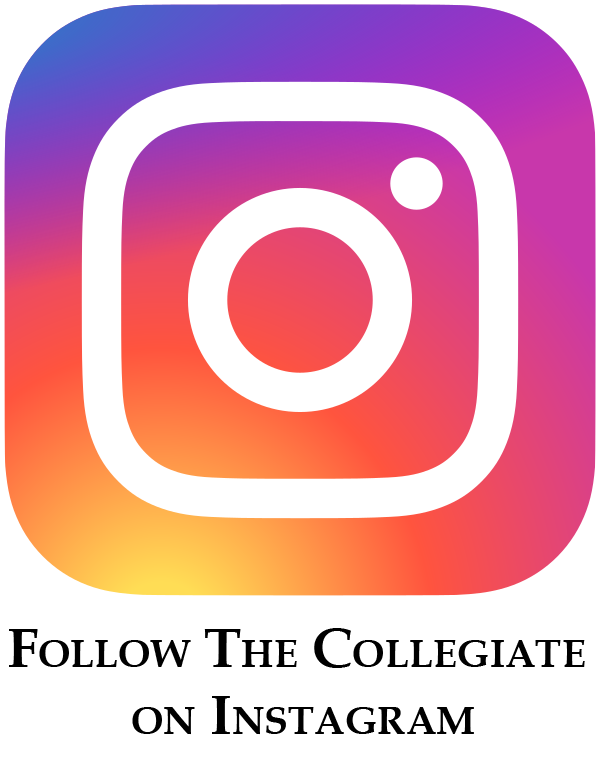 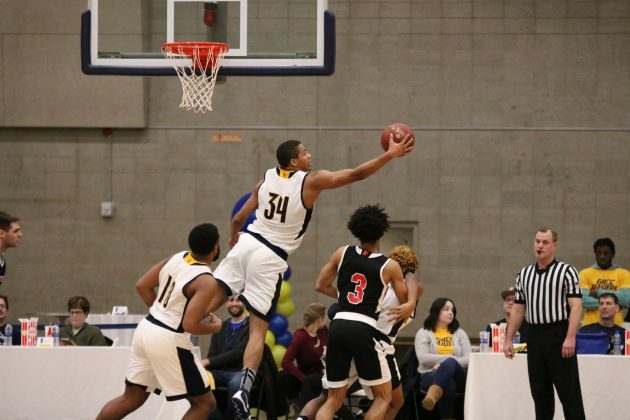 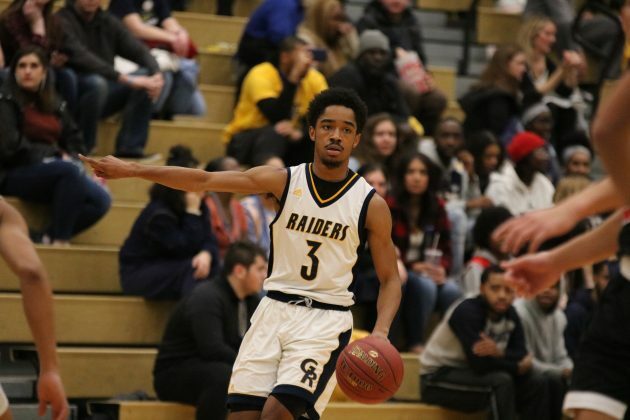 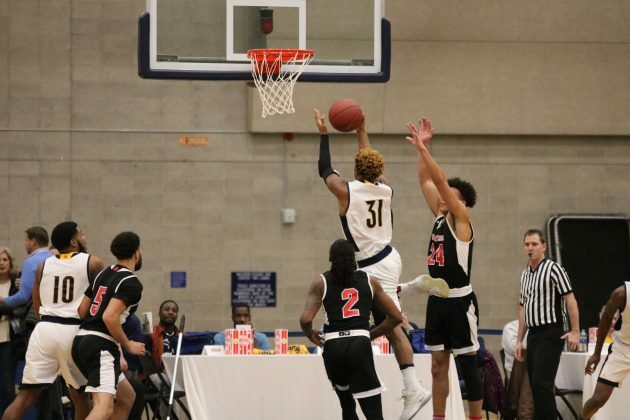 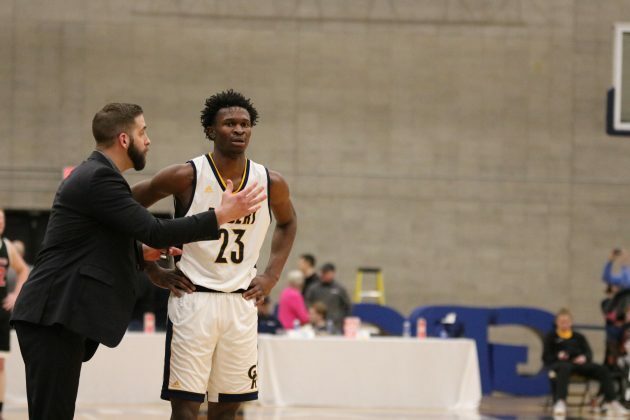 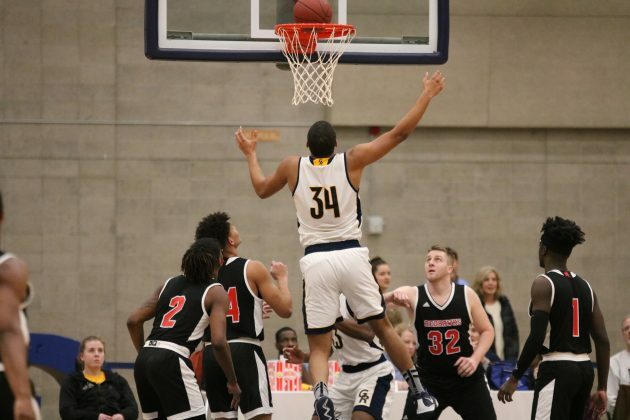 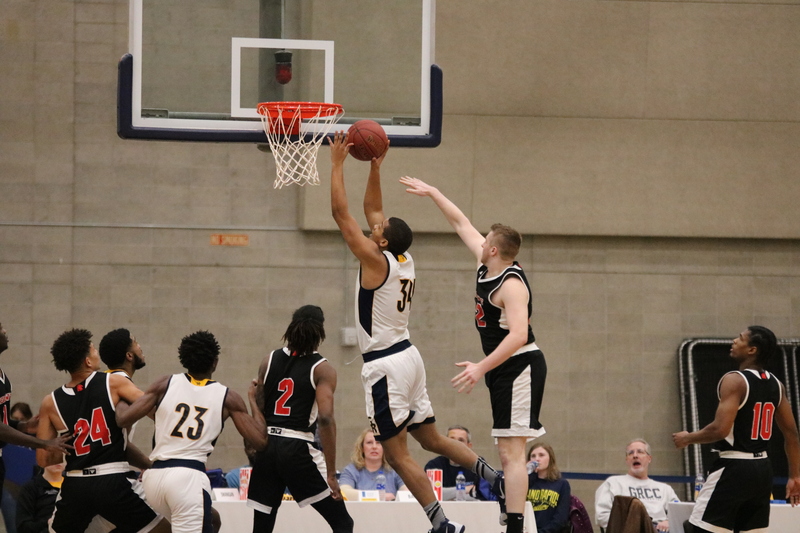 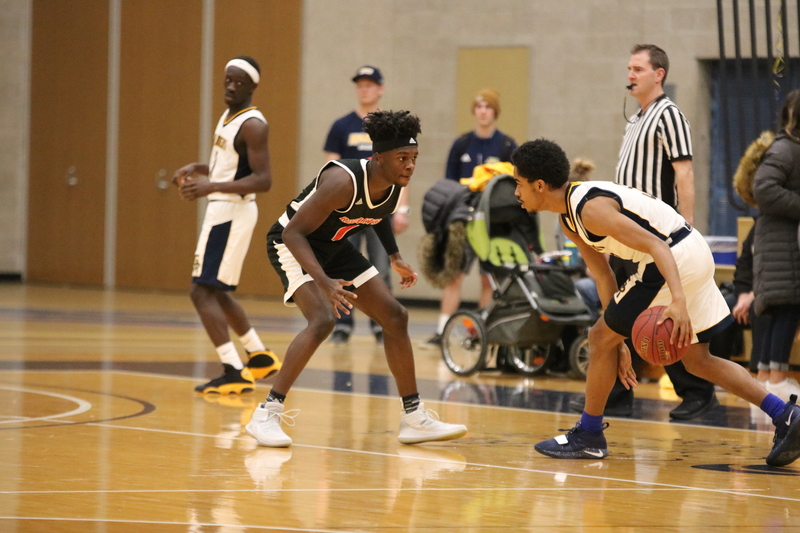 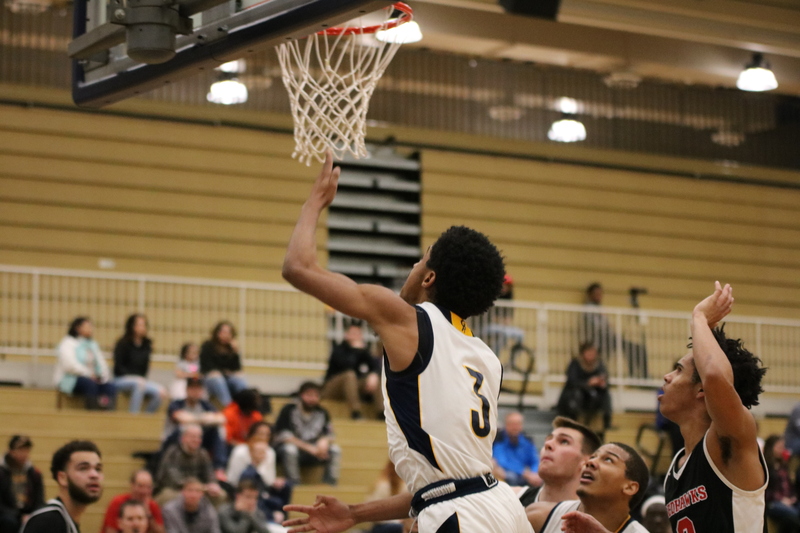 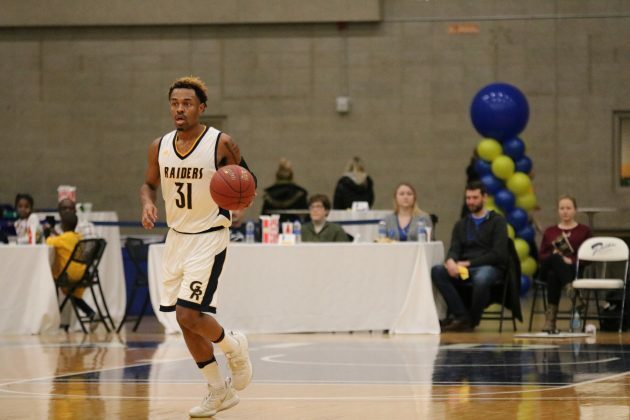 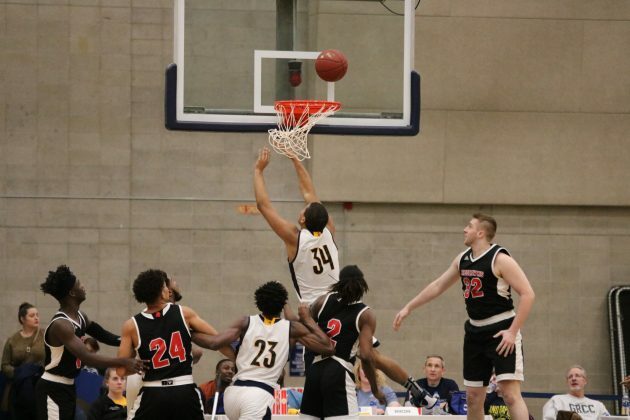 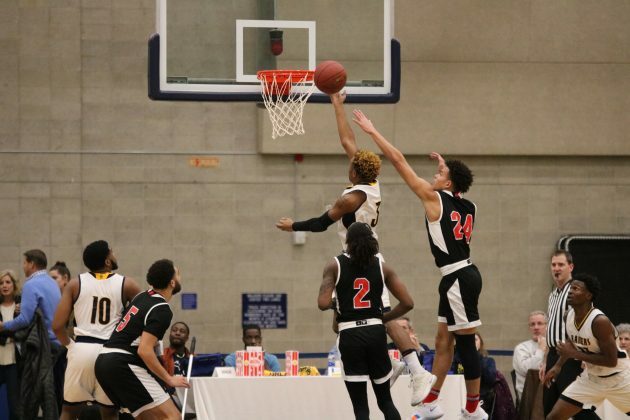 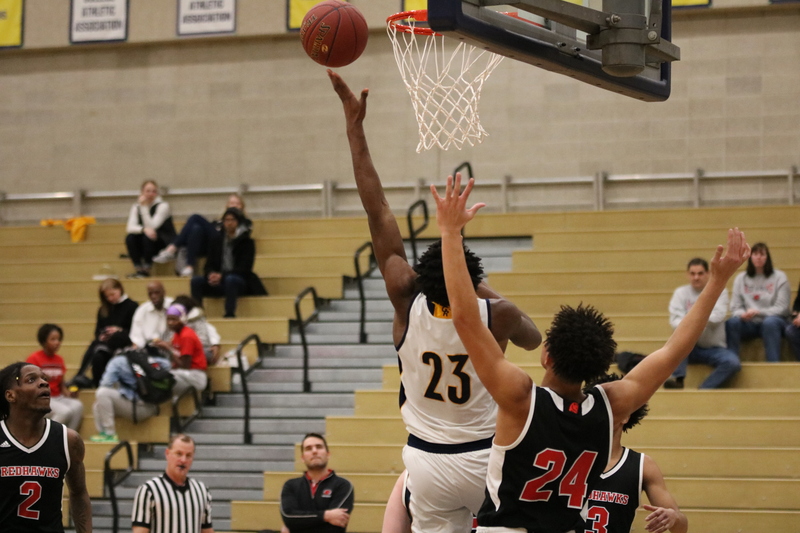 The Grand Rapids Community College men’s basketball team were tasked with closing out GRCC’s Homecoming Week, and they did just that with an 84-67 win over the Lake Michigan College Red Hawks. Early in the game, the Raiders could do no wrong hitting five of their first six attempts from three-point range. 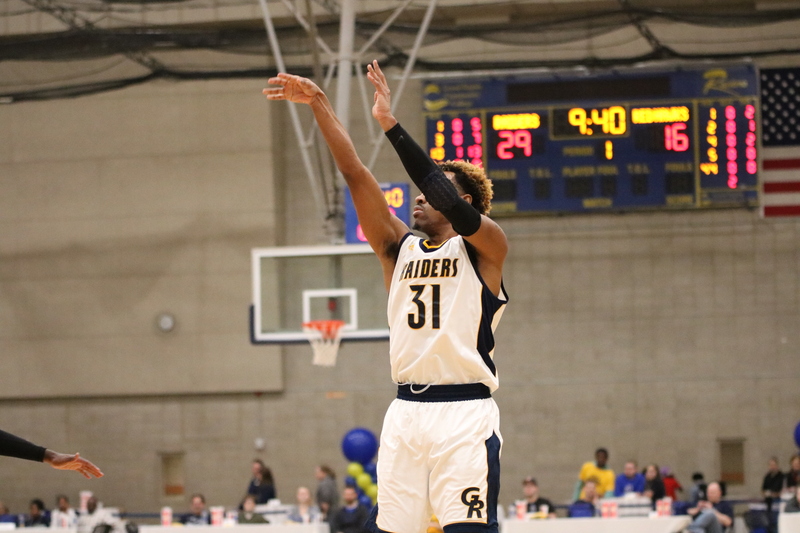 Sophomore Sammie Ryans got the scoring party started for the Raiders which led to them jumping out to an early 24-14 lead. 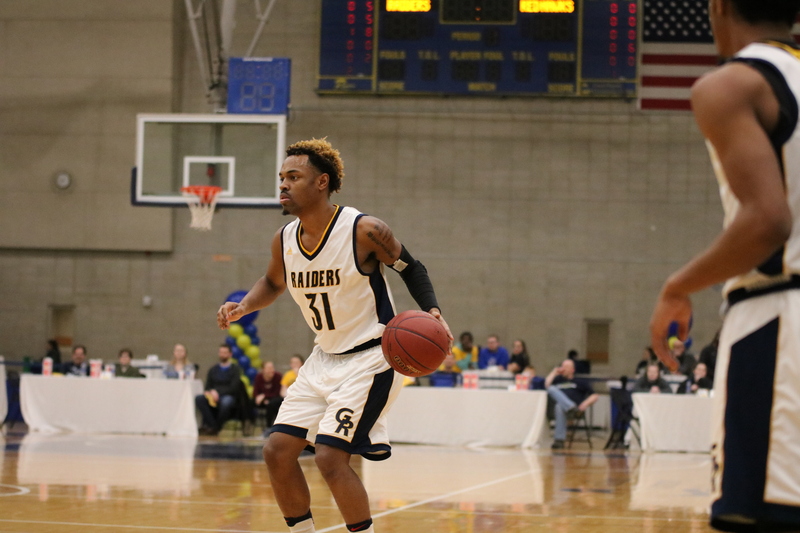 Ryans credited head coach Luke Bronkema’s game plan for the reason the Raiders had such a strong night on the court. 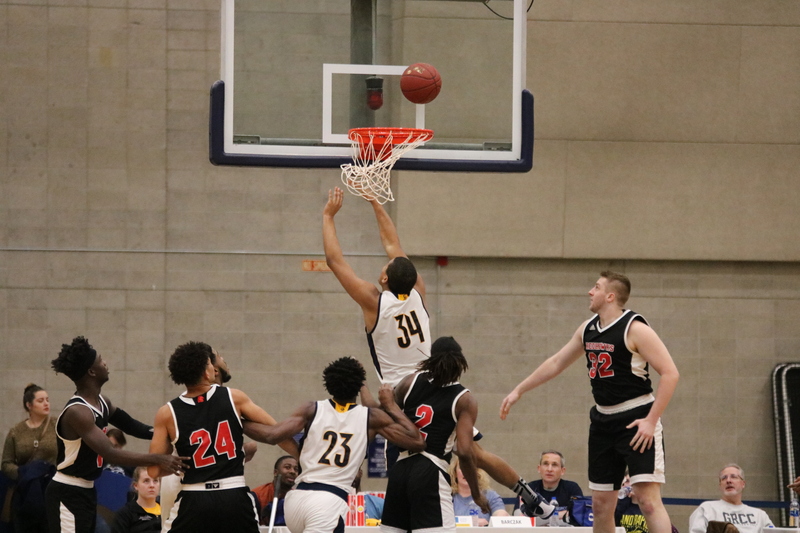 Bronkema’s game plan was definitely a factor in the game, but he thinks the team’s discipline and ability to impose their will on the other team was the difference in this game. 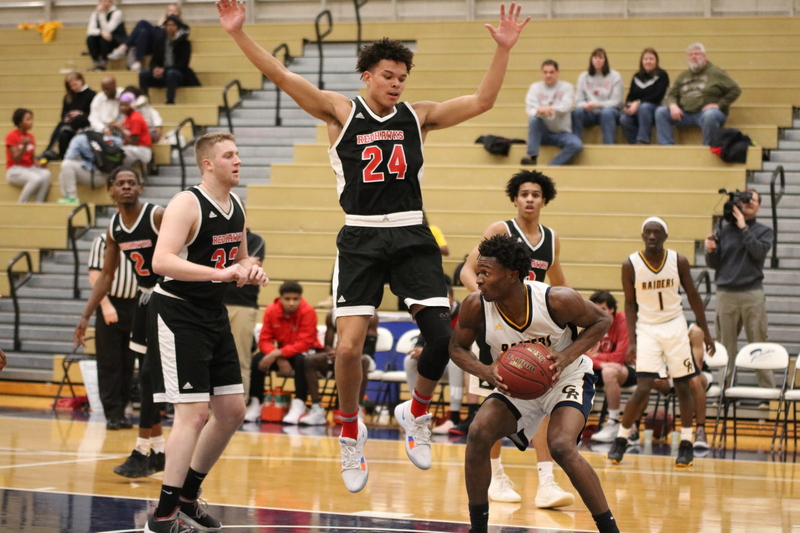 The Raiders didn’t let the Red Hawks defense slow them down at all. 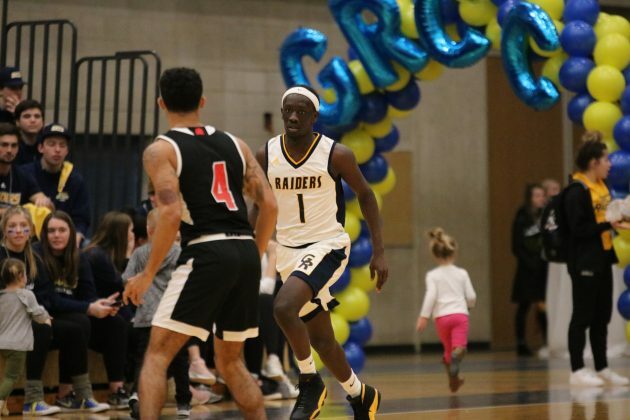 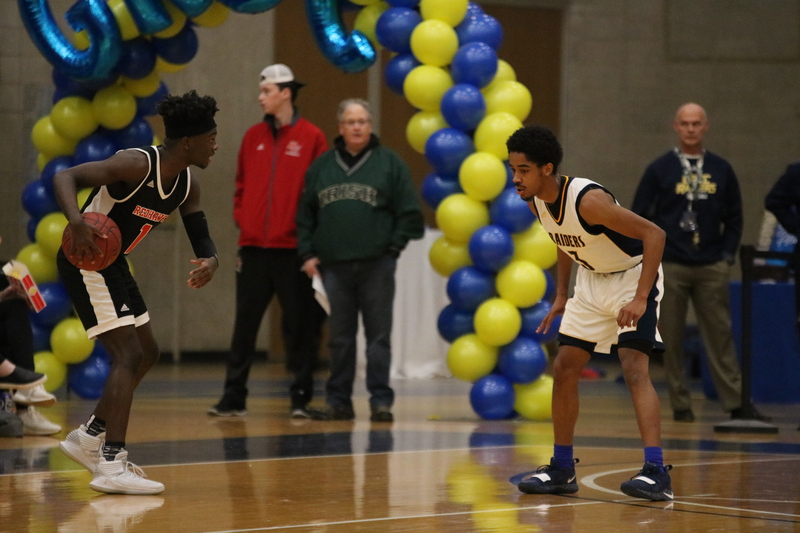 GRCC was very efficient in the game, shooting 48 percent from three-point range and 45 percent from the field. The Raiders had four players in double-figures with William Otole leading the way scoring 21 points. 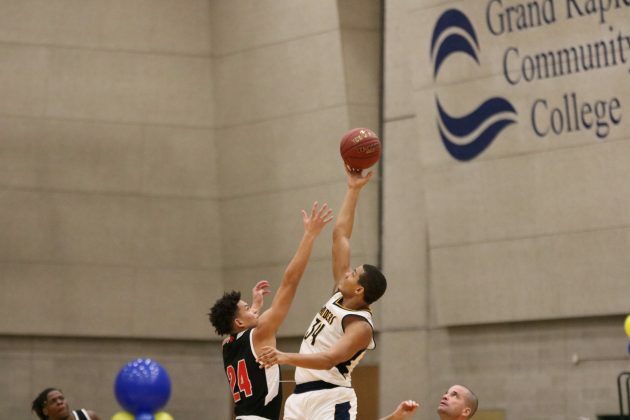 Ryans had 17 and David Hearns added 16. 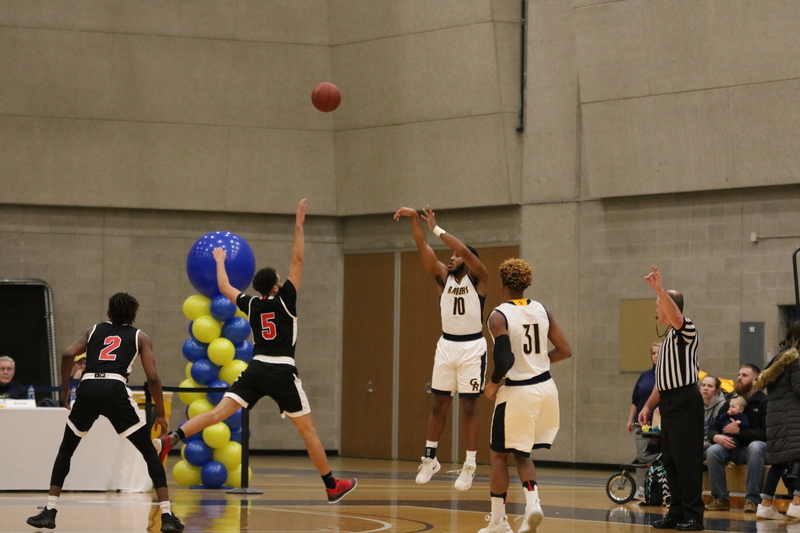 After Wednesday night’s loss to Glen Oaks Community College, Bronkema was upset with his team’s energy and performance and said they had to turn it around for this game. 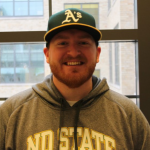 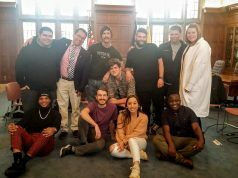 He believed his team would answer the bell and was glad to see they did. 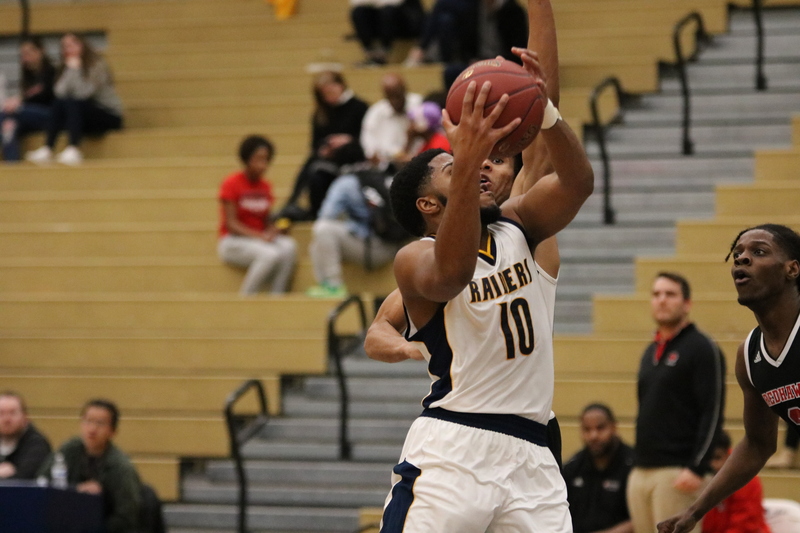 The Raiders will take their 12-5 record on the road Wednesday, Jan. 23 at 7:30 p.m. to do battle with the 10-5 Ancilla College Chargers in Plymouth, Michigan.